Harley-Davidson is a manufacturer steeped in history. Every motorcycle that comes out of its factory carries heritage and a weighted significance to its riders. Because of that, Harley-Davidson’s life-cycles can be measured on a geological scale. Even minute details can take decades to evolve. Engines however, are not minute details. In the course of the company’s 113-year history, its best-selling engine, the Big Twin, has only gone through a total of nine revisions, including the latest Milwaukee-Eight. After 15 years, the Twin Cam iteration of the Big Twin is being retired. The new engine is a 107-cubic inch V-twin, producing 10-percent more torque than its predecessor resulting in a quicker sprint to 60 miles per hour and is slightly quicker to top speed. 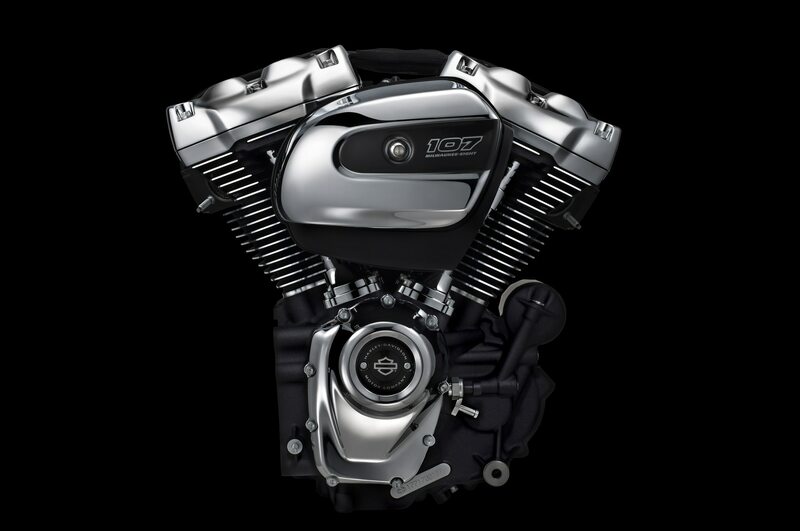 The new Milwaukee-Eight also is one of the smoothest idling engines Harley-Davidson has ever produced, with 75 percent of the previous Twin Cam’s rough idle ironed out. The Milwaukee-Eight could have been even smoother, but when Harley-Davidson gave test rides of the new engine, riders didn’t felt like they were riding a Harley. In the end, the engineers were sure to preserve the quintessential Harley-Davidson riding experience, a necessity given that the Milwaukee-Eight will be featured throughout the company’s lineup for the foreseeable future. Given that Harley-Davidson spent so much time making sure that the motor feels just right under the rider’s legs, we would have thought it would have spent more time ensuring that the “Harley sound” was retained as well. To our ears, the new Milwaukee-Eight sounds more like a John Deere riding lawn-mower—or perhaps a metric cruiser—and less like the brash Harley-Davidson machine-gun baritone Harley riders love. Given the company’s extensive aftermarket parts catalogue, we’re sure that’s fixable. The Milwaukee-Eight will debut in Harley’s Street Glide, Road Glide, Road King, and Electra Glide models it finds its way into the rest of the Harley-Davidson lineup. The Heritage Softail is likely next in line.